This summer FSU’s Jewish youth is exploring Israel on a variety of FJC’s educational programs that help them get familiar with the country and connect to its history, culture and modern life. 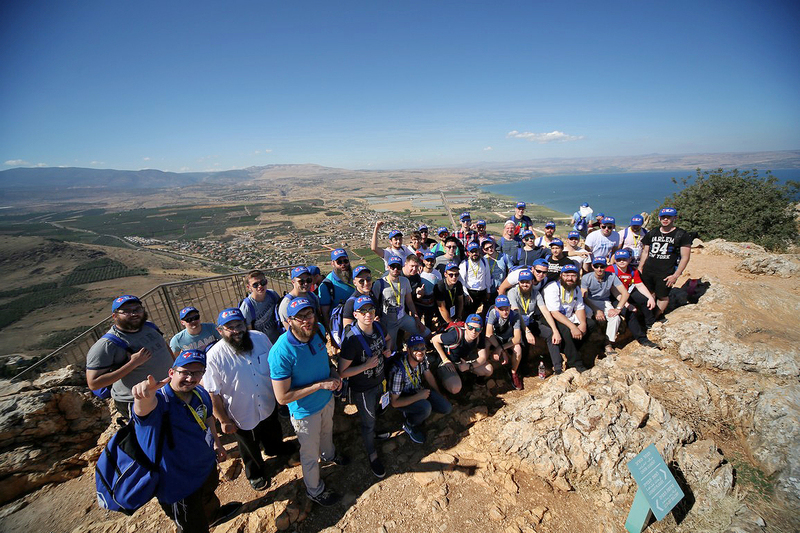 A group of 50 young men came to Israel at the end of June on a Yeshivacation trip, a unique 10-day program combining intensive learning and tourist experiences. The trip is offered under the framework of the STARS Ukraine program. The young men spent the first half of the day learning about Jewish heritage and tradition, while afternoons were designated for tours, attractions, and fun. This year the group first toured the Golan Heights in Israel’s North, experiencing the region’s rich history and modern day attractions. The last days of the trip were spent in Jerusalem, visiting the holy sites in the Old City and touring the capital’s museums and archeological parks. “These ten days were so intense and filled to the brim with new knowledge, experience and fun that they seemed to span 10 months of a regular life!” said one Yeshivacation participant in his after-program feedback. “We could feel that a lot of effort was put into organizing even the minor details of this trip, and I really enjoyed every part of it,” said another. In a more intimate trip, a group of girls from FJC’s Beit Chaya Children’s home in Moscow toured Israel for ten days as part of their summer vacation. They relaxed by the Mediterranean sea, enjoyed Jerusalem’s culture and history and visited Tel Aviv and the Dead Sea. Rabbi Menachem Gol and his wife Shlomit, the Children’s Home adoptive “parents” took the group on the trip in an effort to provide them with a unique and rewarding summer experience that will leave them inspired and charged up for the entire year. “This is the second year we are offering this trip as a reward to our most diligent students and we see how it gives them strength and motivation to carry on,” Rabbi Gol said. Besides these journeys, FJC’s YAHAD young adults programs platform is running annual Birthright trips in the summer that strive to enrich the trip’s program in meaningful ways educationally and culturally. The next YAHAD Taglit trip is leaving for Israel today and it’s a “bus-full” Rabbi Wilansky, YAHAD director said.